Get two looks with one comforter! 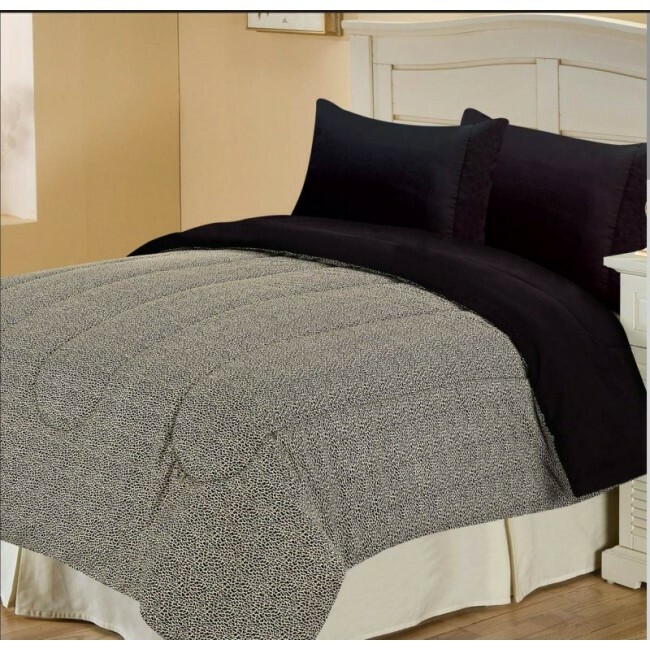 These chic reversible Black Leopard comforter allows you to change up the look of your room with ease. These exotic comforters feature animal printed designs with quilted pattern for a sophisticated and bold look. The reversed side showcases a coordinating solid construction.